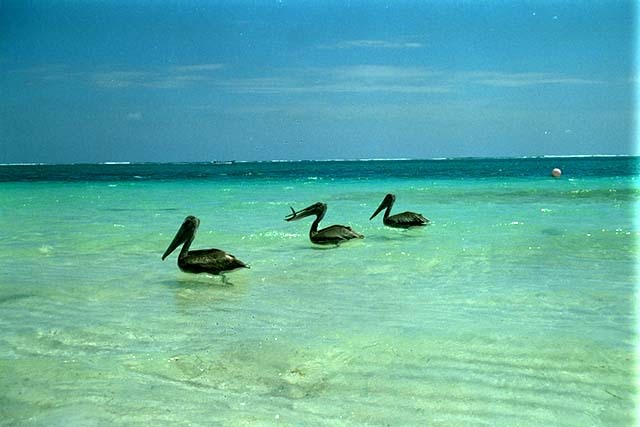 Just 20 minutes south of Cancun there is a peaceful Mexican sea side fishing village where tourism is just begining. 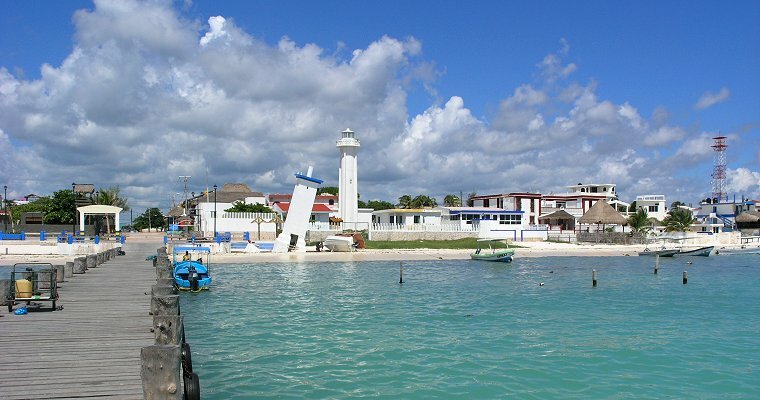 Puerto Morelos still has laid back athmosphere, and in town are a combination of modest homes, hotels and cabañas. One hundred meters off shore lies the Puerto Morelos portion of the Mesoamerican Barrier Reef System, designated as a National Marine Park due to local environmental activists. This is a great town that still retains its heritage as a fishing village and is growing and changing constantly to accommodate the tourist trade. There is a nice beach in the center of town by Pelicanos restaurant, just off the zocalo (town square). There are beaches north and south in front of resorts, private properties and vacation rentals. A few are natural but most are raked by the properties on the beach front. 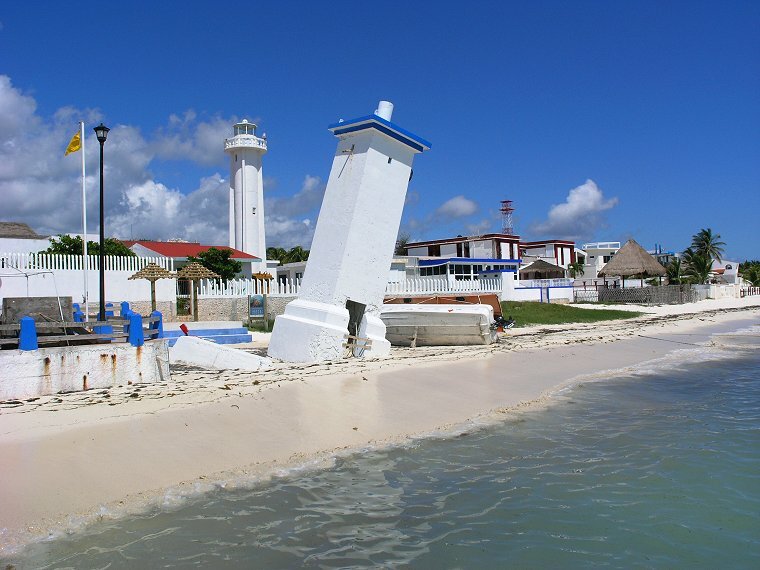 The Lighthouse tilted by Hurricane Beulah in 1967 is the symbol of Puerto Morelos. Divers shouldn’t miss an excursion with Aquanauts Dive Adventures to see the first phase of artist Jason de Caires Taylor’s underwater sculptures series, a collection of 400 sunken works off the Caribbean coast. Eat at 36-seat waterside restaurant La Suegra de John Gray, especially at Sundays when locals gather for great fish BBQ. You can stay at new Azul Villa Carola (from $3,500 a week) is a 10,700-square-foot, six-bedroom former residence with its own outdoor pool, butler, chef, and all set on an idyllic white sand beach. For a more affordable option, Rancho Sak-Ol Bed and Breakfast Inn(doubles from $95) has simple, breezy rooms with covered terraces. Enjoy crystal blue sea and white sand beaches. 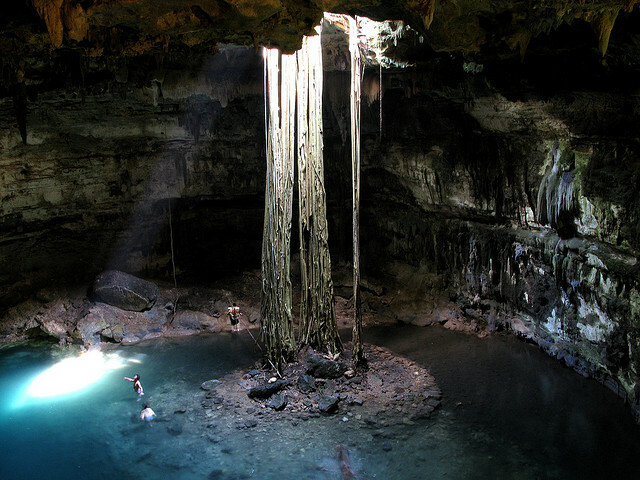 Go snorkeling in fresh water cenotes that can be only found in this region. Discover the spectacular sea life that surrounds the world's second biggest barrier reef. 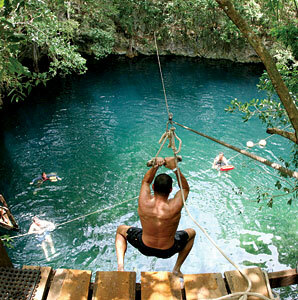 Journey to the ancient world of Mayans is just few step away. Try with Ecab Explorer which organize small personalized groups excursions to Chichen Itza, Coba , Tulum and many other points of interest.